Home brew may see like it should be a long and pain staking process. This recipe will show you how you can make you own home brew soda with just a few minutes of prep and a little patience. 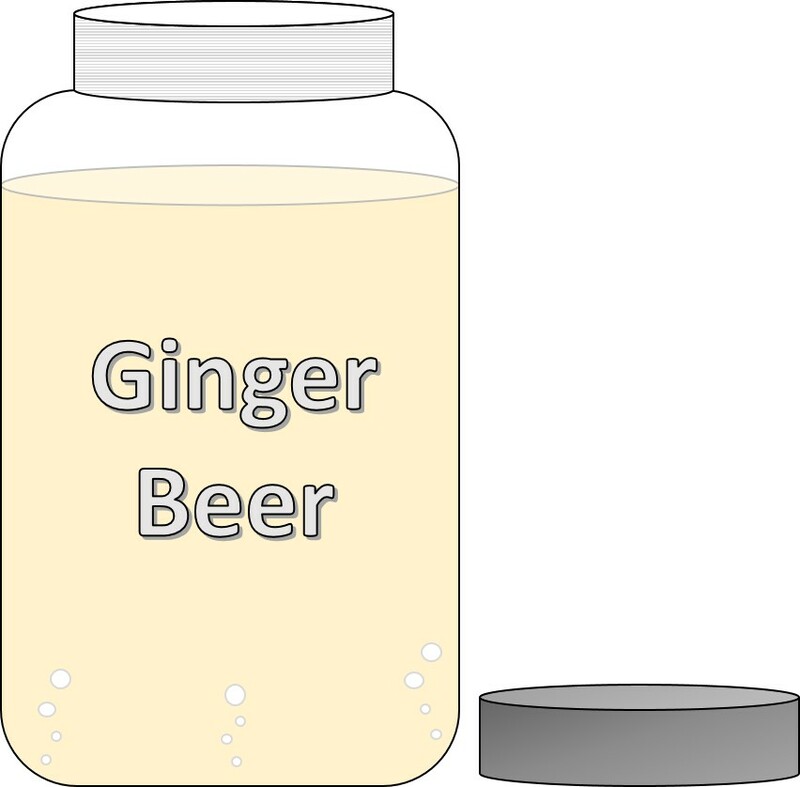 This recipe shows how to make ginger beer specifically, but you can substitute just about any flavor profile you can think of instead of the ginger. Examples of substitutes include pineapple/vanilla/allspice, mint/lime, thyme/strawberry/rhubarb, and kumquat/cinnamon. Start by making ginger simple syrup using the 1 cup of water, the sugar, and the ginger. Bring the syrup to a boil and low to a simmer for at least 15 minutes. Strain the syrup to remove the pieces of ginger and transfer to clean 2 quart jar. Add the 30 oz. of water, lemon juice, and brewer’s yeast. Put the lid on it then shake well to combine. Let the bottle rest at room temperature for two days then transfer to the reach in. Shake with 2 cubes of ice. Pour into a Highball over a large cube of ice. Muddle the strawberries and mint. Add the vodka and lime juice to the strawberry mix and shake well. Strain over ice in a copper mug. Pour the ginger beer on top and garnish with bruised mint leaves.